Teton has had better weekends because this morning I gave him a bath. Yesterday he got to run around the family farm and he had all sorts of stank on him so into the tub he went. He’s not a fan but was a good sport. After his bath he munched on a new dental chew that he’s trying – Blue Buffalo’s Wilderness Wild Bones. Teton has had dental chews from Blue Buffalo before, but not this particular kind. 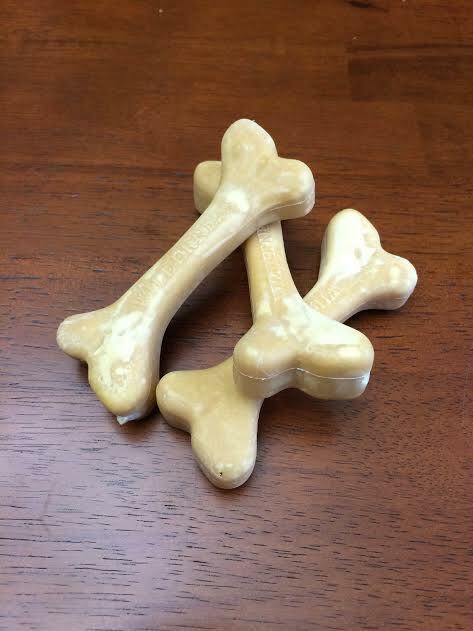 I was really pleased with their original dental chew – Blue Bones – and even blogged about them on my old domain. But, after our friends at Chewy.com offered to send us Blue Buffalo’s new dental chew, we thought we’d venture away from our standby chews and give them a go! As far as ingredients, I’d say the Wilderness Wild Bones are pretty similar to most other dental chews on the market. The same goes for their price. A 10-oz bag that has seven bones is right around $17. Now, for those of you that just had a miniature heart attack, I have something to tell you. Dental bones are not cheap. It took me a good 6 months 5 minutes (remember who you’re talking to here) to get over the price tag, but with regular use, I really believe that Teton’s dental hygiene is vastly improved. However, keep the price in mind when making the leap to dental chews. This particular bag, for example, would only last you one week if you were to give your dog one bone a day. 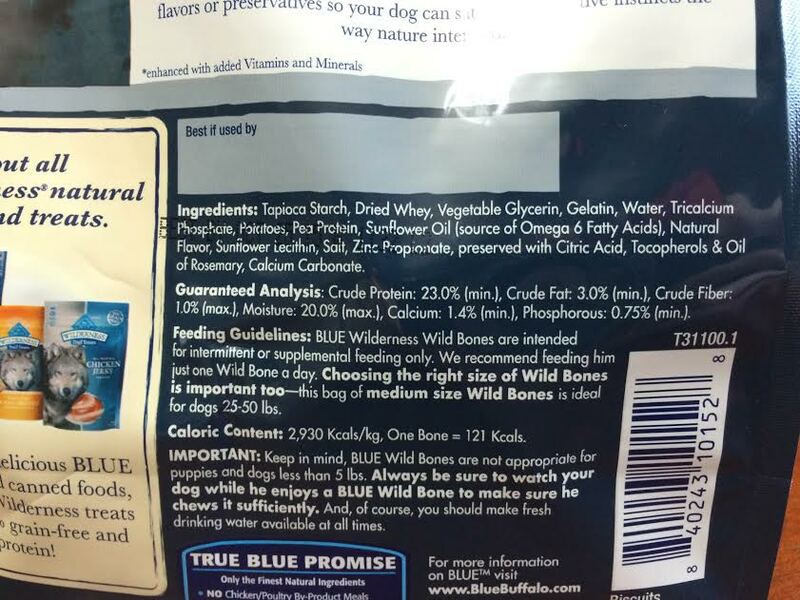 While the Blue Buffalo Wilderness Wild Bones are comparable in price and ingredients, I was disappointed with the time it took Teton to eat one. Other dental chews such as Zuke’s Z-Bones or Natural Balance Dental Chews take Teton up to eight minutes to eat, while the Wilderness Wild Bones only took him three. 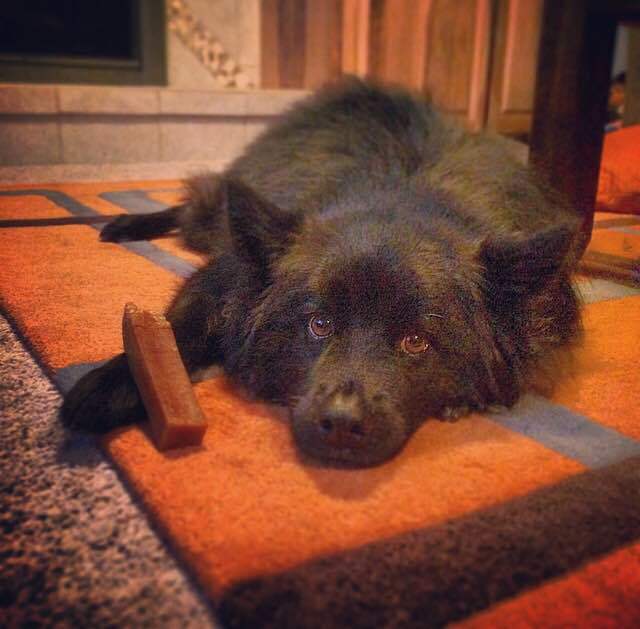 Regardless, it’s nice to mix it up and give Teton a variety of dental chews so he doesn’t get bored. If you haven’t tried a dental chew or other hygiene-specific treat for your dog, check out Chewy.com’s entire assortment of dental care products by clicking here. They have everything from bully sticks (yes, those clean your dog’s teeth, too!) to poultry flavored toothpaste to tooth and gum wipes. Chewy is celebrating Dental Health Awareness month so a lot of their dental products are on sale! 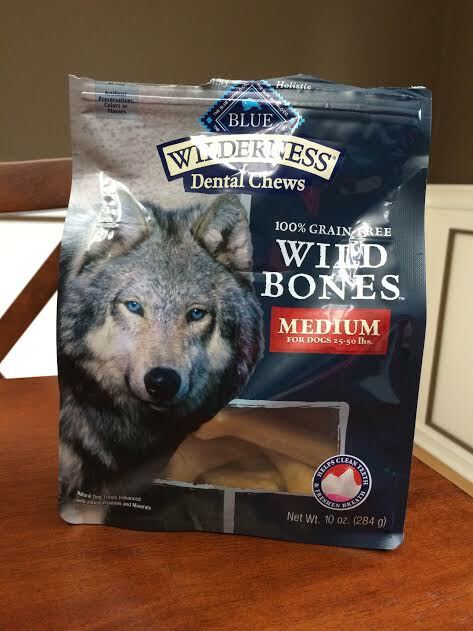 Thanks to Chewy for letting us give the Blue Buffalo Wilderness Wild Bones a try! 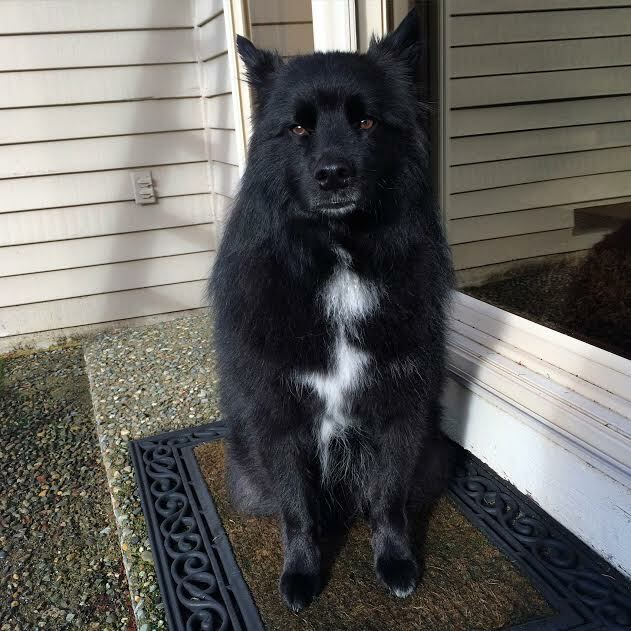 Posted on February 8, 2015 February 8, 2015 by Shannon	This entry was posted in Treat Jar and tagged Chewy.com, Dental Hygeine, Treats. Bookmark the permalink.